Hi all, my name is Andre Campbell. I am a 25 year old writer, comic artist and speaker with Cerebral Palsy, and before I start, I would like to thank Extend-A-Family for inviting me to share my thoughts about disability, dignity and inclusion. Alright, first off, a person with a different level of ability might have many interests and aspirations, as well as other intriguing tidbits, but oftentimes, a lot of people hone in on one part of the individual; the “disability,” and thus lose sight of their other characteristics. Then terms and phrases like crippled, handicapped, disabled, a person with special needs, and differently abled, etc. are used to describe the variety of medical conditions commonly known as disabilities, but what exactly are disabilities? If we look at the etymology of the word itself, and specifically its Latin roots we get the following. Dis is a Latin prefix that means “apart,” and ability coming from the Latin word habilitatem or habilitas meaning “aptitude.” So, disability literally means “apart from aptitude,” “apart from talent or skill.” Think about that. Right from the start, people saw those of us with varying levels of ability as inferior, and not able to be contributing members of society. Over the years, this notion has seeped into society’s subconscious mind, and has become a nigh unconscious filter for how it views us. Now, one could argue that times have changed – I’m not disputing this at all. Things (namely services, attitudes and accessibility,) have improved even within my lifetime. 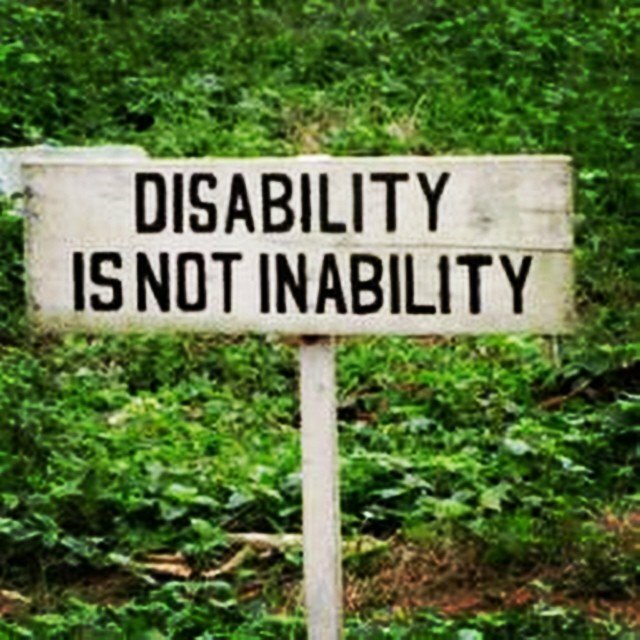 However, if we help shift society’s focus from disability and inability to ability, concepts like inclusion and dignity will be actualities, because they will become second nature to implement. Also, by promoting this newer belief that a disability isn’t an inability, the inferiority associated with the old belief will start to fall away. To me, inclusion is simply recognizing and valuing another person’s worth, regardless of their race, gender identity, sexuality, religion or level of ability. I feel that how Mr. Stewart treated me, epitomizes this idea perfectly. In fact, my former teacher went over and beyond the call of duty, and assisted me with a number of extra-curricular activities, many of which were related to charity. All of this made me feel like I belonged, and that for once, my disability didn’t matter.I used to subscribe to the idea that having a physical impairment would stop me from achieving my goals, as well as having a happy and successful life. However, Mr. Stewart, helped me to shift my focus from my “disability” to my ability, simply by making me feel included and valued. I feel that others can make this shift if we promote, and subscribe to the ideas that inclusion doesn’t have to be a big production, and that different levels of abilities are not inabilities. These differences don’t make us inferior or lesser people – each one of us here tonight has talents and skills, and are, or can be contributing members of our communities, as well as society as a whole, regardless.